For those of you that don’t know, I am currently battling a very severe flare up. 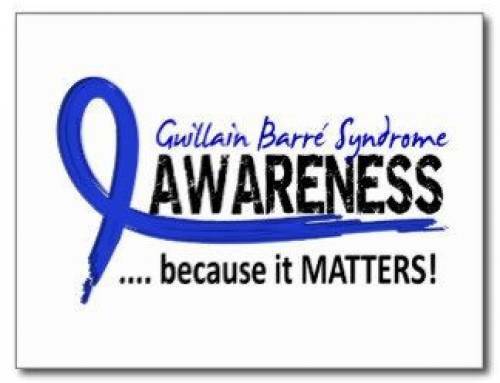 A flare can be described as a sudden exacerbation of a disease; in my case Guillain-Barre. A flare is not the same as the day to day variations of residuals we deal with; a flare is characterized by a sudden and severe increase in symptoms. I’ve had flare ups before, that usually last a day or two, but they are pretty minor, and this one is proving to be quite severe. When I have flare ups, they are always from pushing myself too hard. I usually get them after a really busy time in my life, or when I don’t get enough sleep. In this case it was both – in the week prior to this flare, I had gone through the process of buying a new car, I was working on 2 major projects at work, I went to the gym 6 days out of 7, we hosted 19 people over for Thanksgiving, and then we went out with friends and I drank too much and slept too little. The two weeks before that hadn’t been much slower; we were getting back into the routine of school, I ran my first 5 km run in years (with my best time! 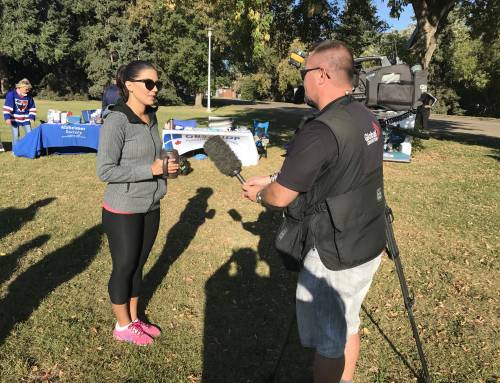 ), I helped organize the fundraising efforts for the run for the GBS Foundation, and I was very busy at my full time job. Every day for a while has been pretty hectic and busy in our lives. What started out on Tuesday as feeling tired, slowly progressed through the week to severe fatigue. I was sleeping well, but yet still felt worse each morning last week. I had a mild head ache every day and felt so exhausted that I was finding it hard to concentrate. By Thursday, even though I was sleeping and napping 8-12 hours a night, I was so mentally exhausted I could barely handle having a conversation anymore. I was having a hard time remembering things, and I was struggling with focus. A few times that day I was sure I stared off into space for more than half an hour. I felt like a zombie. Thursday night was my breaking point, when I was so overwhelmed at even driving my car that I had a panic attack in the parking lot at my massage therapist’s office. I had never felt so exhausted in my life, to the point that I couldn’t even do basic tasks like drive! I took the day off on Friday to rest and was sure that I would feel better after a good sleep. And after sleeping in and watching movies most of the day Friday, I finally felt like myself again. Because I was feeling a lot better, we headed out to Calgary for the weekend to attend a Halloween party with the kids and Jordan’s family. While I knew I needed to rest, I also knew that other than the party we weren’t doing much else, and I would get plenty of time to relax. But over the next 24 hours I only got worse. I just felt more and more exhausted again. This feeling was debilitating; I felt so tired and weak that the only way I felt ok was when I was laying down. My hands, fingers and upper body started to tingle, and felt so heavy. I could barely hold up my head. These were the same sensations I had felt when I first had GBS 6 years ago, only this time it was more my upper body, not my legs. Even though some things felt different, some things felt eerily the same. I tested my reflexes (which are absent in a case of GBS), and they were very weak. I started to think that GBS was coming back. And as much as I felt terrified, a part of me felt a sense of relief, as if this could be an explanation for the way I had been feeling all week. I don’t know how I could even think like that. By Saturday afternoon, my symptoms were so severe, that I had Jordan take me to the hospital. I was so weak and tingly, and I was starting to get short of breath and feared I was going to go into respiratory failure. I pretended to shrug it off as just being exhausted, but deep down I felt something was seriously wrong. It was a very scary feeling, walking into that hospital, not sure when I would walk out. The last time I walked into to the Emergency Room I didn’t come home for 5 months. 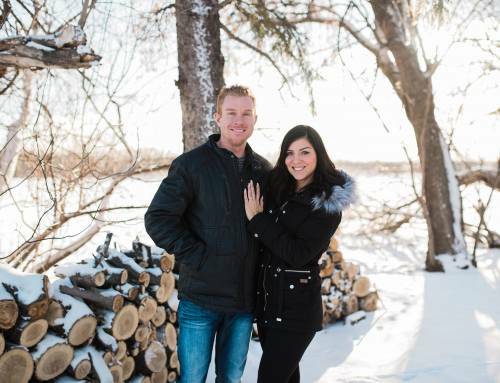 I made Jordan promise me that if I got admitted, he needed to make sure they sent me back to Edmonton to the Grey Nuns hospital where I had been before. I was terrified. But the nurses were so supportive from the second I walked in, making sure I got in to see a doctor asap. A nurse immediately took my vitals, and a doctor came to look me over. Then started all the different neurological assessments that I had forgotten about; the ones I had done at least once a week back in the hospital. 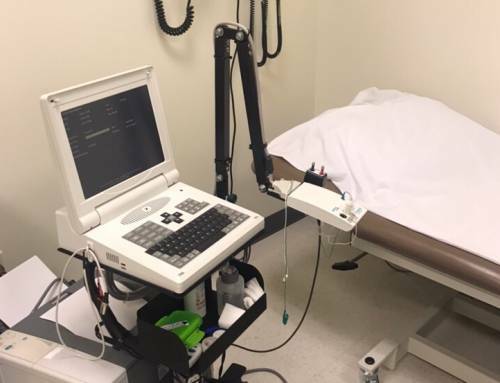 The Dr. tested my strength, my motor and sensory function, and my reflexes – throughout my body. A respiratory therapist came down and did several pulmonary function tests – basically checking the strength of my lungs. After they were done, the Dr. told me that everything actually looked great. Not only had I passed all the tests, I was actually above what they would expect for someone my age. My strength, reflexes, and breathing was above average. It did not look like GBS. However, given my history, and given the way I was feeling, they weren’t taking any chances. They moved me to another room to monitor me. I was to tell them immediately if I started to feel worse. After several hours of waiting and not feeling any worse, my fears subsided. I knew that if this was GBS I would be getting progressively weaker, and I wasn’t. The nurse and Dr. mentioned putting in an IV and monitoring me for longer, but I didn’t think it was necessary. As the Dr. noted, I was not showing any obvious symptoms of GBS to them on their tests, and if it was GBS, they would have seen something by now. By this point my bloodwork had come back fine. They chose not to proceed with a spinal tap, and I was free to go. I felt a huge sense of relief. I knew that this was probably just a very extreme flare up and my body’s way of shutting down. I was so grateful that the hospital staff never once treated me like I was paranoid or making things up. They were extremely cautious, thorough and understanding, and told me that if anything changed to come back right away. After laying down in the hospital all day long, and knowing now that it wasn’t GBS, I felt a lot better. I finally had a bit of energy. We headed over to the Halloween party, dressed up and got to catch the end of all the fun activities. The next day I felt a little better, but I was still quite weak and tired. We returned to Edmonton and I slept on and off the rest of the day. I saw my family physician Monday morning. It appeared to him that my body and mind was just overtired and overworked. From having GBS, my body just cant handle stress the way a normal 32 year old would and it shows up in a flare of symptoms. He gave me a B12 shot and took me off work for a week to recover. I have since learned that B12 is very important to GBS patients – it is essential for the proper functioning of the nerves. 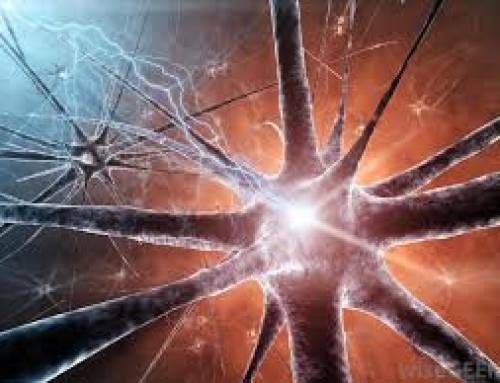 B12 maintains the myelin around the nerves in the peripheral nervous system – these are the nerves that GBS attacks. A lack of B12 can cause weakness, severe fatigue, nerve problems like tingling and pain, and trouble concentrating. For this reason, I will be getting B12 injections from my Dr. for the next 6 months. Although this is the first time this has happened to me (for this long anyway) it turns out what I have been dealing with is actually very common in GBS patients. I am not the first one to feel as if GBS was coming back when it’s not. I am not the first one to deal with this debilitating fatigue and exhaustion, and it feels good to know that I am not alone. I am now at home recovering. At this point I am still so fatigued that I can not be up for more than 15 minutes at a time without needing to lay back down. I am napping several times a day and I still feel very weak. It reminds me so much of when I first got out of the hospital from GBS. Other than not being able to walk, I feel like I am recovering from GBS all over again. I am focusing on getting one or two tasks done a day so I don’t feel like a complete waste of skin, and resting as much as possible. Its hard for me not to feel guilty for not being able to do much right now, but thankfully I have such a wonderful supportive boyfriend that understands and is taking great care of me. I am very hopeful that once the B12 kicks in in a few days, I will feel like myself again. Please know, that I don’t share my story for pity or for attention. I assure you, I’m a very strong woman and I can handle all this. I share my story to raise awareness. Not only for GBS, but for other diseases too, where flare ups happen – fibromyalgia, lupus, ms, etc. I share this experience to remind others that just because someone may not look sick, doesn’t mean they aren’t. When I talk about this fatigue that I’ve been experiencing, I know many of you think that I am talking about being extremely tired. I am not. I am talking about a severe state of extreme physical and mental exhaustion. It impacts your emotional and psychological well being, and it is not just resolved by sleeping. I am talking about being so fatigued that you get completely overwhelmed with doing simple tasks – things like driving a car, putting on your makeup, getting a drink of water, sometimes even getting up to stand. You feel so overwhelmed that you cry and have panic attacks over having to do anything. It is so severe, that its hard to find words and form sentences in your head to have a conversation with someone. It is so severe it can leave you bed ridden. Many people will never experience this type of fatigue; I know I hadn’t before having GBS. To further explain, I like to use the ‘spoon theory’, by Christine Miserandino. This theory is a disability metaphor used to explain the reduced amount of energy available to the chronically ill. A healthy, young person gets an unlimited amount of spoons (energy) each day to do as they please. Someone who has a chronic disease, may only get 12 spoons a day. Things like showering, putting on your makeup, driving, etc, takes up one spoon…working, going for a walk, cooking dinner, can take 2 or 3. If they use up all their spoons before the day is over, they will be left with that severe fatigue that I have been dealing with. They have to mentally prepare their days in advance because once their spoons are gone, they are gone. Sometimes you can borrow from tomorrow’s spoons, but just think how hard it will be for that person tomorrow, having less. Chronically ill people have a lot less spoons than someone that is healthy, but a lot of the time they still have the same amount of things to do. And many times, this fatigue is not apparent to others. Someone who is experiencing a flare up, may not show any outward signs of their illness. The point I am trying to make, is just because you see someone that is chronically ill, say, grocery shopping, doesn’t mean they are fine. You have no idea what it took for that person to get there, or what it will mean for them for the next few days. So please stop and think before you judge someone on their disease and what you don’t know. It’s very strange being at home right now – I am so not cut out for not working. Other than going on vacation, I don’t even remember the last time I have been at home doing nothing. And I cant wait to start feeling better and back into my routine again. Yes I am going to have to get back into things very slowly, but I am confident that I will be back stronger than ever before I know it. Holly, I’m glad you are not in relapse. Living with the fact that it could happen again is terrifying.😯 I’ve been following you on Instagram and seen how youve progressed. I have pushed myself to exercise knowing it’s beneficia to keep going, (i dont look as fit as you💪😁) but i continue having your story in mind because i know that it can be done👍its just the juggling of everything else….work, social, study, parenting, housekeeping! You are inspirational, thankyou for sharing your story. I can relate to the level of gbs residuals you have. I’m 4 years post.